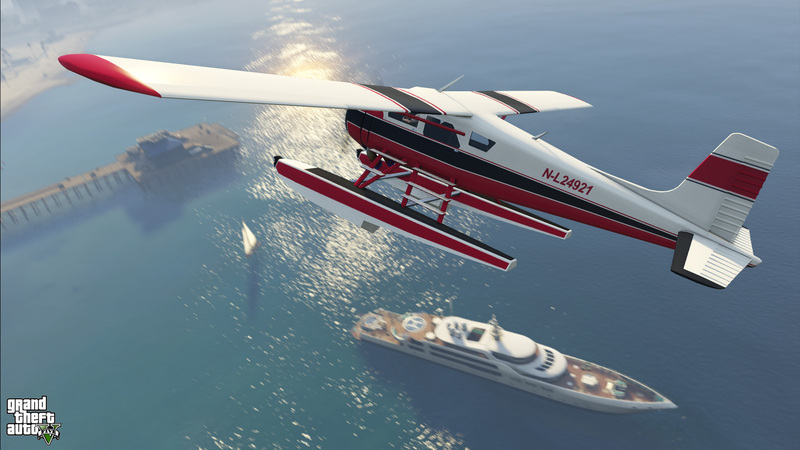 The Dodo seaplane: It may take a little firepower to get your hands on this highly versatile GTA classic. Encounter new events happening all across the world, and complete the challenges they present to unlock exclusive new vehicles like the menacing Imponte Duke O’Death and that veritable GTA classic bird of flight, the Dodo seaplane. The Imponte Duke O'Death: As you might expect, when you first stumble upon this near-indestructible mayhem machine, trouble will follow. Deal with it judiciously and this beauty’s all yours. As Michael, follow a trail of cryptic clues to unravel a grisly murder mystery. Put the clues together and you'll unlock two Noir Style Filters, which will give your Story Mode gameplay and Snapmatic photos the feel of a gritty old school crime classic. 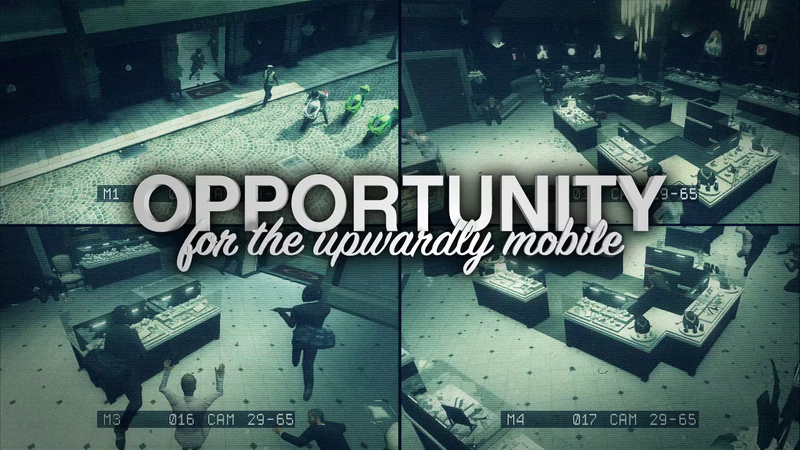 Get to the bottom of a murder mystery that strikes right at the heart of Los Santos' most cherished industry. Obliterate your adversaries with the high-powered, high-velocity Rail Gun. This piece of experimental military technology also has its own set of Shooting Range Challenges at your local Ammu-Nation shooting range. Or hack and slash foes up close and personal with the brutal Hatchet melee weapon. The futuristic new Rail Gun unloads powerful rounds of explosive ammunition upon foes. There are new species of animals across Los Santos and Blaine County, and the LS Tourist Board needs someone to document them. 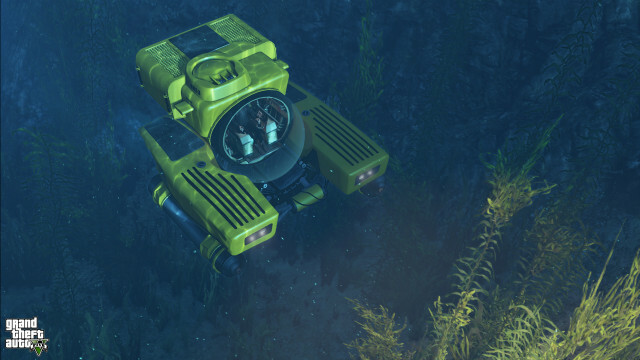 As Franklin, catalog unique animal species scattered across the map to unlock the special Kraken Sub. Completing the Wildlife Photography Challenge will unlock the Kraken Sub. Win a series of new Stock Car Races to earn unique custom Muscle Cars adorned with logos from some of the companies that made this country great. Finish first in the new Stock Car Races to earn new Muscle Cars. A mysterious street artist is tagging walls all across town with his simian-inspired silhouettes. Track down and photograph them all to earn new monkey outfits (available to all players) and a special Go Go Monkey Blista exclusively for returning players. 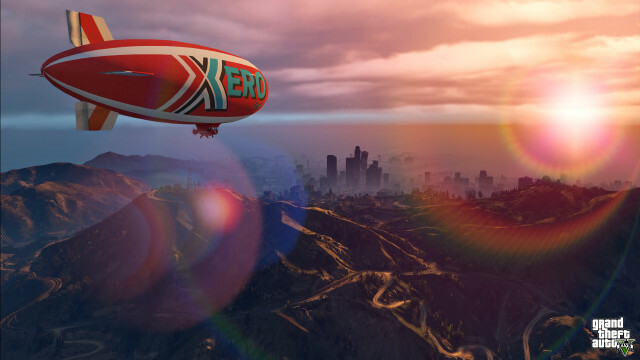 Take to the skies in the faster and more maneuverable Xero Blimp. Grind up the Los Santos freeways (and over anybody in your path) with the Cheval Marshall monster truck and take to the skies in a faster and more maneuverable Blimp, compliments of Xero Gas. There will also be a bounty of content for all players, new and returning, to discover - including a fleet of classic GTA vehicles and a few more surprises we've got planned that you’ll have to discover for yourself come game day. And as previously announced, current GTA Online players on PS3 and Xbox 360 will be able to pick up where they left off, transferring their characters and progression seamlessly to their choice of PlayStation 4, Xbox One or PC (Social Club membership required). Few objects are an obstacle for the intimidating Cheval Marshall. In addition, anyone who pre-orders the game will receive a bonus of GTA$1M ($500k for Story Mode and $500k for use in Grand Theft Auto Online). Rockstar also received tons of great questions from excited fans about what's in store for the game. Below are some of the more frequent ones they've gotten that are able to shed a little light on - and stay tuned for more info in the coming weeks. Remember, you can always send your questions to [email protected], or shoot a tweet at @RockstarGames. If you've got feedback about what you'd like to see in GTA Online specifically, don't hesitate to drop the dev team a line at [email protected]. What about the exclusive in-game content I originally received for purchasing the PS3 or Xbox 360 Special Edition or Collectors Edition last year? Will I be able to access that content on PS4, Xbox One or PC? Yes, if you purchased the Special Edition or the Collector's Edition last year, when you upgrade to one of the new systems, you will automatically have those items unlocked and accessible. Those in-game bonuses include the Stunt Plane Trials, Bonus Outfits and Tattoos, and the Pistol .50, Bullpup Shotgun and melee Hammer all for Story Mode use; as well as the Custom Classic GTA Parent Characters and the high-end Khamelion electric car for GTA Online. Furthermore, if you missed out on your chance to buy a CE or SE the last time around, Rockstar will also make all of that content available for all players on PS4, Xbox One and PC to earn and acquire with in-game cash (original SE and CE owners will not have to spend any in-game cash to obtain them, they will automatically be accessible upon upgrade). Can you only make the GTA Online character progress transfer once? 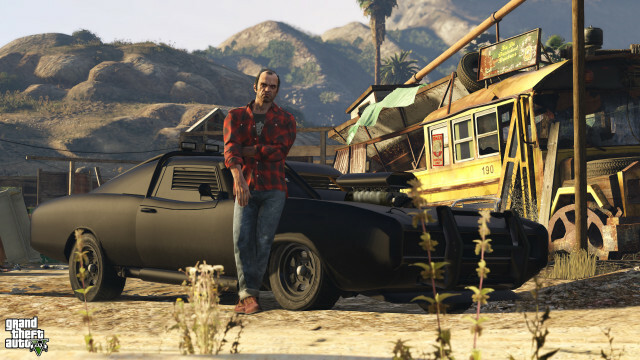 If I transfer my GTA Online character to the new systems, will I still be able to play with him/her on my PS3 or Xbox 360? Yes, you will only be able to transfer your character once. After transferring your character to PS4, Xbox One or PC, you can continue playing with him/her on your PS3 or Xbox 360 but the progress you make while playing is not shared to the character you transferred to your new version. Will PC players also receive the exclusive upgrade content like the Dodo and Dukes? Yes indeed! The content detailed above will be available to returning players on all three new platforms. Will any of these updates being made for the new systems be also made available for the previous generation of consoles? 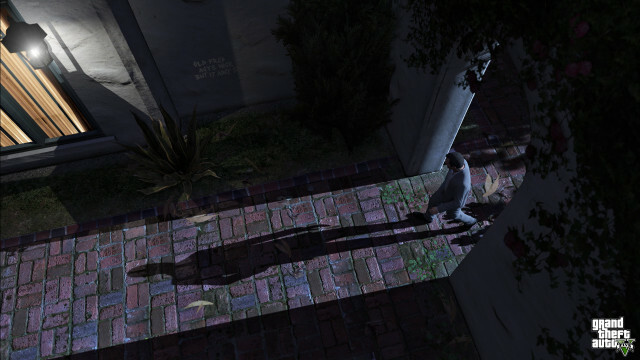 The vastly enhanced graphics and many other gameplay updates on the new versions of Grand Theft Auto V are really only made possible by virtue of the powerful new hardware of the new consoles and PC. 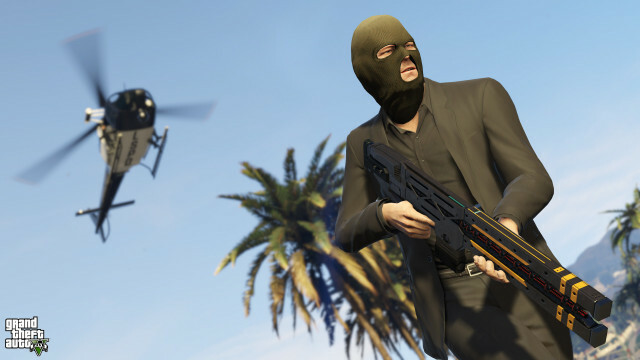 Some of the other updates such as the upgrade content detailed above are being designed exclusively as a reward for returning players so those will not be released on the previous versions; however do stay tuned for more updates to be made available for Grand Theft Auto Online across all platforms and they'll have more information on that soon. Will my created Jobs transfer over to the new systems? 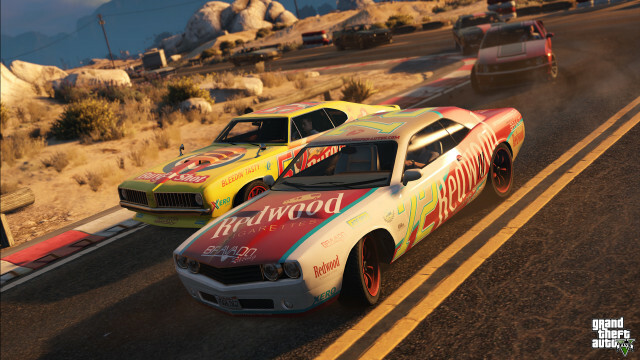 Will 30-person GTA Online sessions include competitive modes such as Races and Deathmatches? Yes, they will! GTA Online on the new systems will support 30 players not just in Free Roam but in competitive modes as well (unless of course the Job you’re playing has been designed to be set to a specifically lower player max). 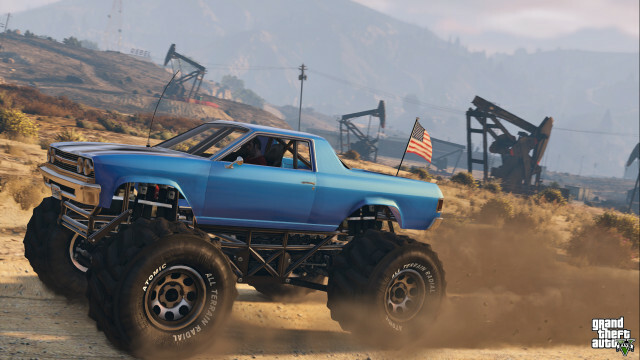 Rockstar looks forward to seeing what unique matches the community can create for a vastly increased number of players. That's all for now! Stay tuned for more info in the coming weeks and join the fun in the forums! Can't wait just cann't.. But have to... cuz Ima PC one..! Details and Screenshots of Exclusive New-Gen Content - Rockstar spills the beans on the exclusive content coming to the PC, PS4, and Xbox One version of Grand Theft Auto V.